In 2013 a friend (and colleague) introduced me to Health At Every Size® (HAES). As a dietitian, I had been struggling for years, thinking there must be a better way than recommending weight loss for “overweight” or “obese” clients. I use quotation marks, because they are medical terms used to infer disease…and are based on the BMI (which could hardly determine the health of an individual). What was the ultimate goal of recommending weight loss anyway? I thought it was for improved health, but I started to question that too. I have been practicing long enough to see people make changes (whether by a full-on diet or just restricting a little) and lose weight…and regain it…and lose it…and regain it. Each time they regained it, they would return to see me, and each time I struggled with helping them start the cycle all over again. I stopped weighing people a few years ago (well, I stopped doing it on my own…some patients still insist on it). It just broke my heart when I would pick up a patient from the waiting room and they were so excited to see me, so they could tell me all about their success with the goal they had set: walking twice a week; or eating more veggies; or drinking less juice. But then they would get on the scale, and would be upset (and even cry sometimes), because that is how they measured their success…and self-worth. Not by the accomplishment of their goals, but by the number on the scale. Why? Because it was reinforced…by me, their doctor, their family and friends, their barista, that woman in the cafe, the man on the subway…you get the picture. I had to stop the cycle. I struggled with that though. Not focusing on weight went against everything I learned in university, and the clinic I worked in, and in my childhood for that matter. Could I actually just stop? Then along came my friend at the perfect time and showed me there is another way. After attending my 1st Association for Size Diversity and Health (ASDAH) conference I knew what I had to do. It’s too bad it wasn’t as simple as changing my practice; that was the easy part, since I was almost already there. For me, the conversations with patients only changed a bit. When they started talking about weight loss, I started asking questions about what that would look like for them and what they hoped would change besides their weight. I also started to focus on Intuitive Eating, rather than being prescriptive (in as much as Canada’s Food Guide is prescriptive). Mostly what has changed is the language I use when referring to food as well as around weight and health. Beyond making my own professional changes, a challenge has been that I work on a family health team; I work with 14 physicians, 2 nurse practitioners, 3 nurses, a social worker and several other practitioners. Plus we have 2 sites and 2 dietitians at the other site. What I do and say with patients affects all of their practices, and vice-versa. I wasn’t naïve enough to think that all I needed to do was put on a lunch-and-learn and everyone would wholeheartedly agree to walk the line with me. But I was fortunate enough to find an ally in one of the dietitians and an open mind in the other. So we did a lunch-and-learn (and then a second). Our goal was simply to introduce the research on dieting and HAES. We also discussed weight stigma. We wanted to explain to the staff why we won’t be focusing on weight as an outcome measure any longer. I think, despite the relatively low attendance, these lunch-and-learns were successful because we introduced something that was very foreign to them. They asked some really good questions, and of course we were met with resistance by most. We did not expect anything different. The next thing we did was change the dietitian referral form by replacing Weight Loss with Healthy Lifestyle Changes. For the most part, we don’t get Weight Loss as the reason for referral anymore, but some still add it to the form. Our reason for the change to the referral form was to try to change the language our physicians and other providers use with patients. One of our physicians actually writes “mindful eating” or “please help with emotional eating” on the form, which I think is awesome! It’s been a couple of years now since those changes were implemented. I know these things take time. I did not change my way of thinking overnight; it took a few years to realize I was doing more harm than good for so many people. Overall, our biggest challenge is still the popular idea that people will be healthier with weight loss, so those referrals for Lifestyle Changes are essentially for weight loss without dieting by many of our providers. Weight bias and fat shaming are predominant in our society, and my co-workers are not immune. I still have patients telling me about perceived or actual fat shaming at my clinic. In an effort to make my co-workers more aware of their own biases and what to do about them, I wrote a piece for our weekly newsletter. I provided a link to the Harvard Implicit bias test as well as the Rudd modules on weight bias in healthcare. I have not received any feedback about it, so I’m not sure whether anyone has taken the test or completed the modules. Recently, I attended the Weight Stigma Conference where a similar program called Balanced View was presented. Perhaps my next step will be to present some of the information from that conference to my coworkers. Sometimes, it does feel like an uphill battle, but this is one battle worth fighting. And thanks to ASDAH, I know I’m not alone. Julie Seale is a Registered Dietitian at a Family Health Team in Toronto, where her practice is strongly entrenched in the HAES® principles. 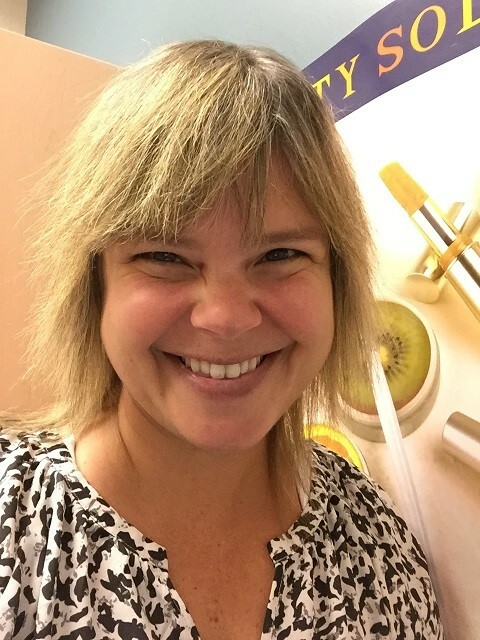 Julie uses a Heath at Every Size® approach when seeing clients, not only for weight concerns, but for all nutrition-related concerns, such as diabetes, heart heath, gastrointestinal complaints and nutrient deficiencies. She also has a part-time private practice, sealeNUTRITION. Julie currently serves as a board member At-Large for The Association of Size Diversity and Health (ASDAH). To connect with Julie on social media, you can: click here for Facebook and here for Twitter.